2018, the year of privacy! The GDPR will soon be with us and will provide an occasion for retailers to leverage this transparency while updating their use of data. The objective: to stay in the race despite competition from the pure players. Who is the world champion of sales thanks to their expertise in the use of data? Amazon! During the third quarter of 2017, the group’s net turnover increased by 33.7% to reach 43.74 billion dollars (37.5 billion euros). Who is the preferred retailer of the French*, capable of anticipating your orders (thanks to predictive marketing) even before you think of it yourself? Amazon again! And every time it is largely thanks to their expertise in handling data and customer knowledge. Marketing has entered a decisive era: that of data. The web giants, with Amazon in the lead, have well understood this fact and are ahead of the game when it comes to “big data”. 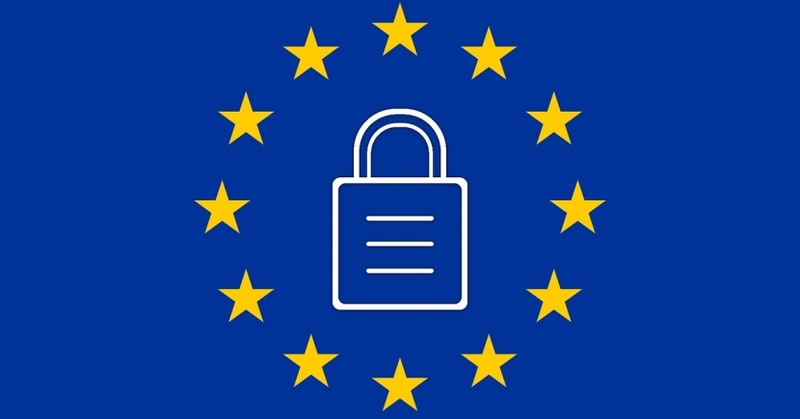 The famous European General Data Protection Regulation (GDPR) will therefore provide the occasion for retailers not only to improve the quality and treatment of their data bases but also to create a new capital of trust with consumers. There is no time for hesitation: compliance is mandatory by next May 25th, after which financial penalties will automatically apply. The upper limit of the penalties applicable in France by the CNIL is 4% of world turnover. So, it’s best to be prepared! The GDPR aims above all to strengthen the protection of web users’ personal data. To put it simply, prior consent used to be required before sending electronic communications. As of May 25th, it will be necessary to request the user’s authorisation before collecting the data. As collectors of data, retailers are therefore directly concerned. They must also modify their general conditions of use and sales, etc. by adding requests for consent. So, why not take advantage of this obligatory change to strengthen your links with consumers! Don’t forget that today, 90% of the French** say that they are worried about how their data is used. Thus, rethinking your data policy by orienting it towards a better brand/consumer relationship will reassure them and also improve the brand image of online retailers. The trend today is towards the omni-channel approach, with no discontinuity between the retailer and the customer. So, why not decide to continuously feed this personalised relationship via more developed clienteling applications, with attractive push notification campaigns to motivate customers to deliver even more information about themselves... This would allow retailers to create a virtuous circle by constantly enriching their customer knowledge. Just like Amazon! After collection comes the analysis of cross-channel data in order to obtain a reliable 360° profile of the customer. This is carried out in real time to follow the pace of development imposed by the pure players. In short, it is a question of milking the data to deliver the best possible personalised and contextualised experience, the sign of an efficient customer relationship. In the end, the data will be of better quality, more reliable and therefore more monetisable. The key to the concept: more business. Nevertheless, according to the Converteo GDPR barometer, only 6% of the players in France are currently in phase with the new regulation. Conversely, the players that were born on the internet are generally ahead with the compliance process: 83% of them have already adjusted their consumer information practices with respect to the collection of personal data. Retailers know what remains to be done. * Source: Amazon, the preferred retail chain of the French, according to the ranking established by the OC&C Strategy consultancy. Download the expert insight "Taking advantage of the GDPR to improve the treatment of data"